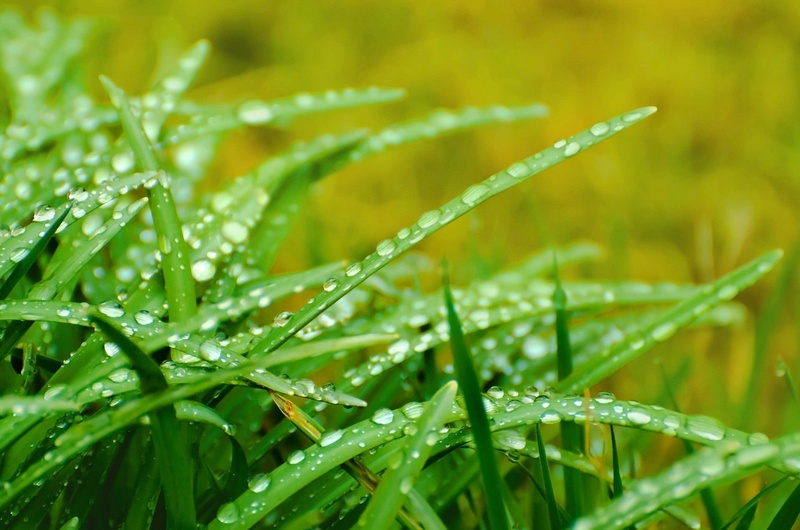 Mowing Wet Grass – Is It A Good Or A Bad Idea? The summer months are fast approaching and everyone is rushing to get their gardens looking beautiful. One of the jobs that needs to be kept on top on in order to do this is the mowing of the lawn. However, as we all know, British weather is often very unpredictable. When the grass is wet because of rainfall, you might find yourself wondering whether or not you can mow the wet grass. This all depends on a number of factors. Here are a couple of the reasons why mowing wet grass is a bad idea. The first point to keep in mind is that a lawn mower is a powerful tool with sharp blades. Extra caution should be taken when mowing the lawn in good conditions, never mind bad. The trouble is that when the grass is wet, you have a very high risk of slipping. With a lawn mower in your hands, this could be very dangerous indeed. Another big factor to think about is the fact that by mowing your grass when it is wet, you are going to end up with patchy results that really don’t look very nice at all. This will also lead to the grass growing back in patches rather than roughly the same height. If you want your lawn to look great all year around then it is generally a better idea to wait until the weather is good and the lawn is dry before you attempt to cut it. One huge thing to remember, when it comes to mowing wet grass, is the fact that you run a very real risk of damaging the lawn. The blades will struggle to cope with the wet grass and you will end up churning it up in patches. 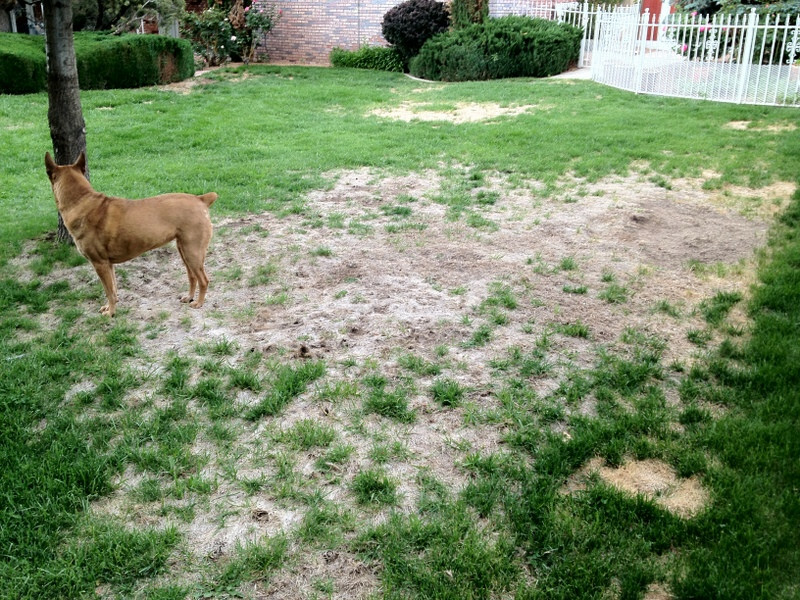 You may even end up killing off patches of grass which will turn your lawn into a complete mess. If you want to make sure that your lawn remains undamaged when it is being cut then you should definitely wait for dry conditions. If you have an expensive lawn mower, then the last thing that you want to do is to damage it. This is actually a lot easier to do than you might think. 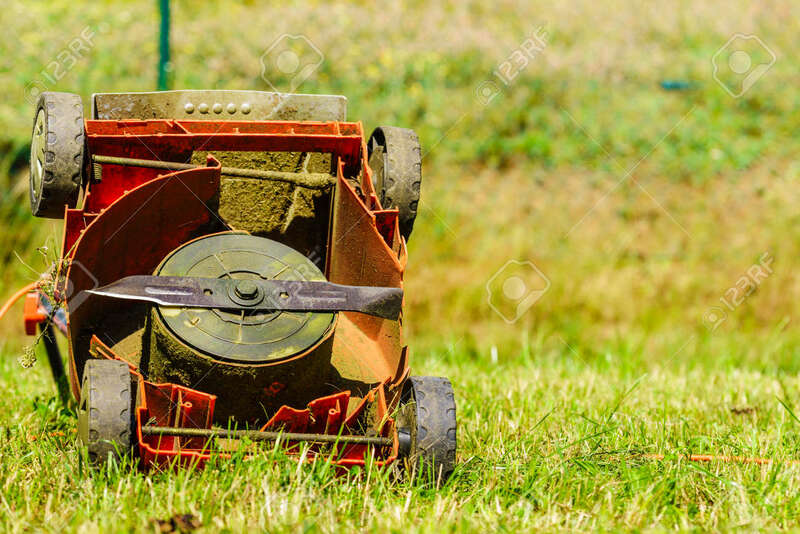 When you mow wet grass what happens is that the clippings clump together and can often get into the motor of your mower which can potentially cause irreparable damage. It can also ruin the blades on your lawn mower too. It is a much better idea to wait for a dry day so that you don’t run the risk of damaging your lawn mower. As you will know, when you mow the lawn, the clippings tend to fly off in every direction, usually hitting you, your house, and anything else in the vicinity. Usually this is not a problem because the clippings can simply be brushed away. However, when the grass is wet, the clippings are far more likely to stain. This isn’t really much of a problem if you are using old clothes for gardening, but if it stains the outside of your house then you can imagine that it isn’t going to look very nice. If you are really stuck for time and the only spare time that you have is to mow the lawn when it is wet, then there are a few tips that you can follow. It is generally a bad idea, but here are a couple of tips that might help you. If you are going to mow your lawn when it is wet because you have no other option, then you should never use an electric lawn mower. This sounds obvious but many people have made this mistake before. Electricity and water can be an incredibly dangerous combination. If you absolutely have to cut your grass when it is wet, then it is a much better idea to use a petrol mower for safety. If you have no other choice but to cut your lawn when the grass is wet, then you will definitely need to make sure that your lawn mower blades are freshly sharpened. They will need to be as sharp as possible if you want to make sure that they are able to cut through the grass properly rather than chewing it up. Fortunately, sharpening lawn mower blades is a relatively easy task. As a general rule, if your shoes sink into the lawn when you walk on it, then it is definitely far too wet to even consider cutting the grass. If you attempt it then the only thing that will happen is a lot of chewed up grass and a huge muddy mess. So, before you attempt to start mowing it, test out how firm the ground feels so that you can avoid making this mistake. As you can see, in general, it really isn’t a very good idea to mow your lawn when it is wet. If you really have no other option then it is possible, but the results are very unlikely to be good and you do run the risk of not only damaging your lawn but also damaging your lawn mower and injuring yourself, so it is a far better idea to simply wait for a dry day when you have a little spare time.